Looking for a high-energy activity for a tween or teen’s birthday party? 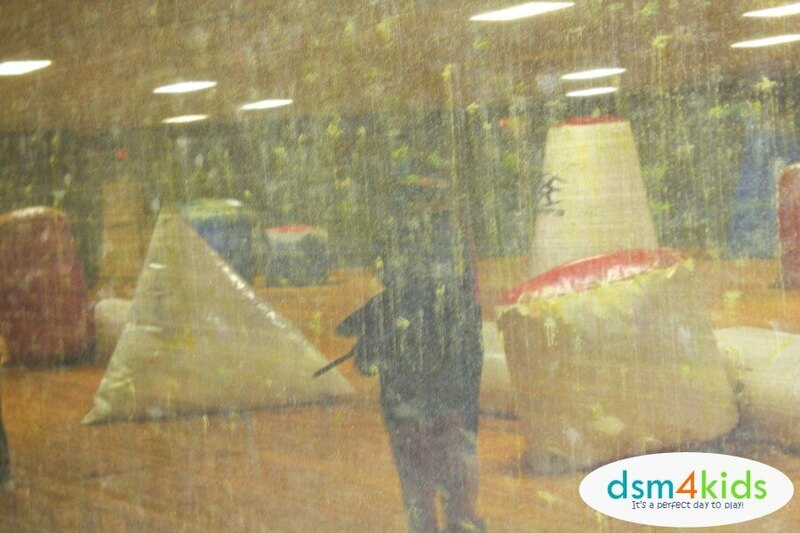 Try paintball! 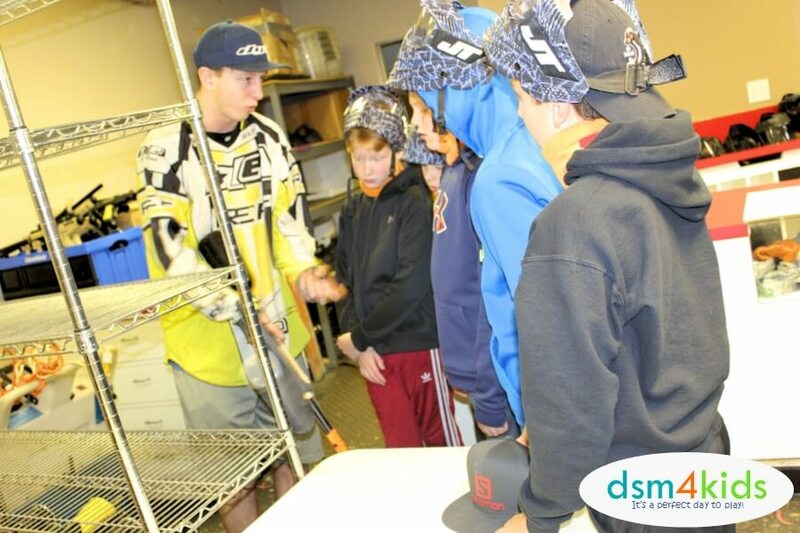 After attending a few of his friends’ paintball parties, my son asked to host his 12th birthday party at ICU last fall. How quickly times change! No more cute superhero or baseball themed parties, he wanted to suit up and take his favorite video games virtual. If you’re like me, you may be a little squeamish to let your precious offspring loose to essentially have fun shooting at their friends. That’s a family decision for you to make, but I obviously caved. Your kids will basically get a chance to play an epic game of hide-and-seek with some hilarious, if slightly painful, consequences. To make the birthday party reservation, you will need to call ICU. Which, is actually for the best, since their pricing can be a little confusing and it gives you a chance to ask any questions you may have. Party times are primarily offered on Friday evenings from 5:00 to 9:00 pm and Saturdays and Sundays from 12:00 to 6:00 pm. (You can book parties on other days of the week, but you will have party minimums on both the number of attendees and cost.) Once we got our preferred date penciled in, I received a follow-up call a few days before the birthday party to confirm everything. 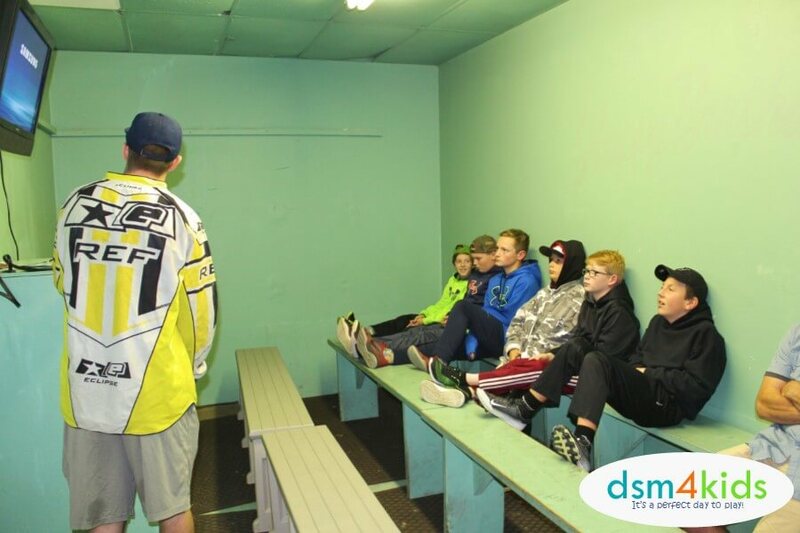 Please note ALL players must be at least 10 years old and have a signed parent waiver. The waiver is available on their website or they have forms available for parents to sign if they will be dropping off at the party. We held our son’s birthday party on a Friday night, which is a little less expensive than hosting on a Saturday or Sunday. Party costs will vary depending on the number of guests and the amount of ammunition purchased. An average cost for a birthday party on Saturday or Sunday for six (6) kids and one case of ammo would be $176 with tax or 10 kids and 1.5 cases of ammo would be $262. Both are good for about 2-3 hours of paintball fun. Paintball gun, goggles or mask, neck protector and air. Ammo is purchased separately, and you can choose from a lower impact .50 caliber paintball or a standard .68 caliber paintball. 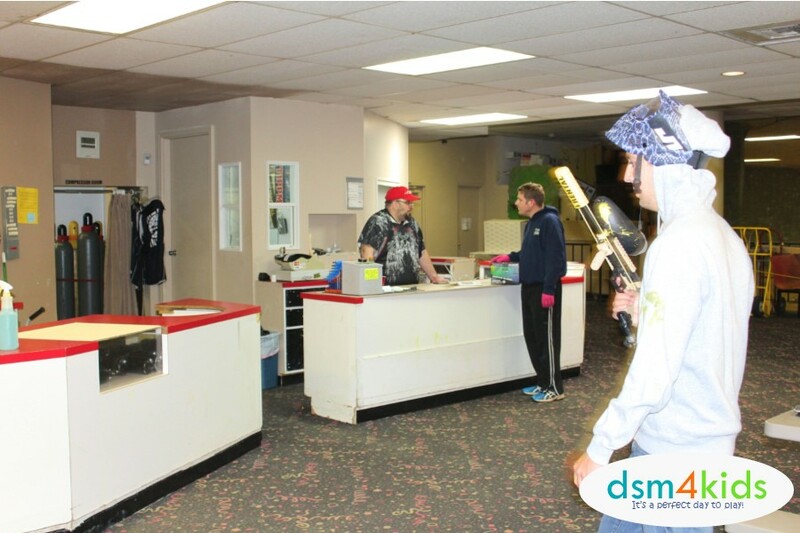 Use of the indoor paintball facility along with a referee. Use of picnic tables for food, cake and/or snacks (to be supplied by the party hosts/guests). Waivers required for all participants prior to your arrival. ICU Paintball does not provide an invitation for the party. You will want to make a note in the invitation for guests to wear a sweatshirt or hoodie, comfortable jeans, a hat and closed toed shoes. Players will want to make sure that there isn’t any exposed skin. Also, the paint will wash out of most anything, but you don’t want to wear your best shoes. ICU is quite a trek from where we live, so we asked party guests to be dropped off at our house, and my husband and I transported the kids to and from the paintball venue. Once there we got the kiddos checked in and suited up. You will not be the only group at the facility. 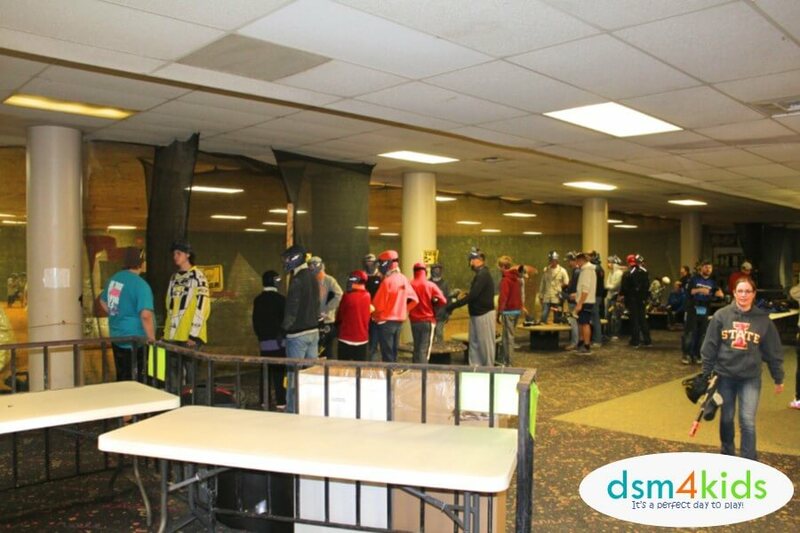 Your group will get in line and take turns using the indoor paintball field. Your party will battle against each other or you can also ask other groups if they’d like to take your team on. Make sure you understand the two different caliber options. We ended up getting the wrong ammo for the guns we rented. ICU was very accomodating and let us exchange the ammo. Bring bottles of water or other beverages. The facility has one lonely vending machine and does not provide any concessions. There is a lot of running around in paintball and guests get hot and thirsty fast. Take along a first aid kit. One of the kiddos got hit in the neck with a paintball and had a large welt/lump on it. We of course did not bring along any ice packs and the facility didn’t have any available either, so the poor kid had to make do with a cold soda can on the neck. Have pizza delivered. My son wanted to go out for pizza after the party, which was fine, but I wished we had just ordered it and had it delivered to the facility. There’s several large picnic tables available and a lot of the other groups were eating while we were there. 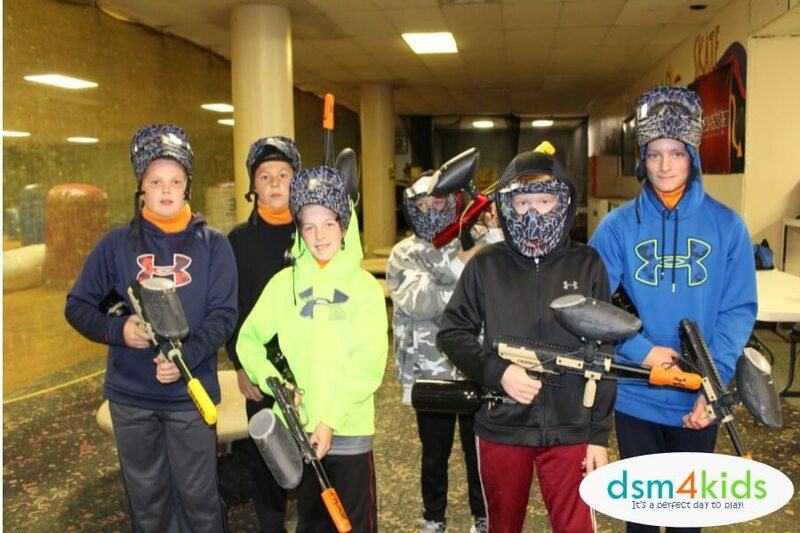 My son and his friends had a blast playing paintball and my husband and I had fun watching them at this colorful and exciting birthday activity! 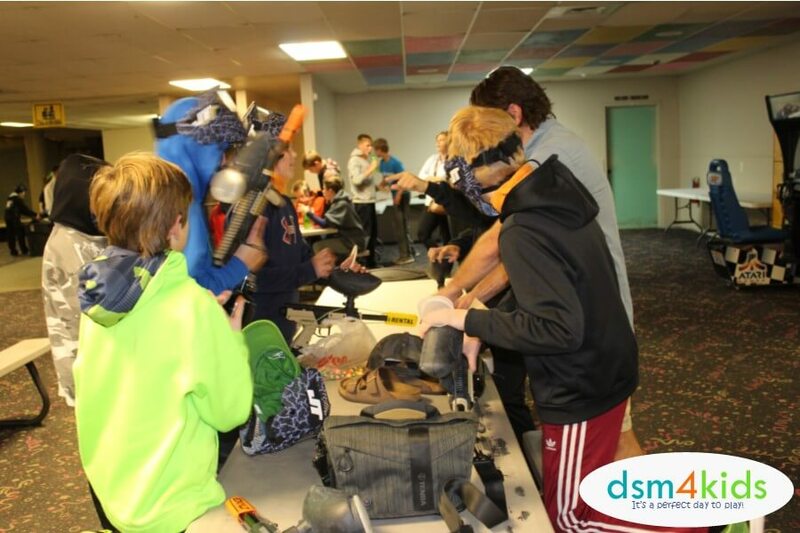 Have you hosted a birthday party at ICU Paintball in Des Moines? If so, give it a shout out in the Comments below!